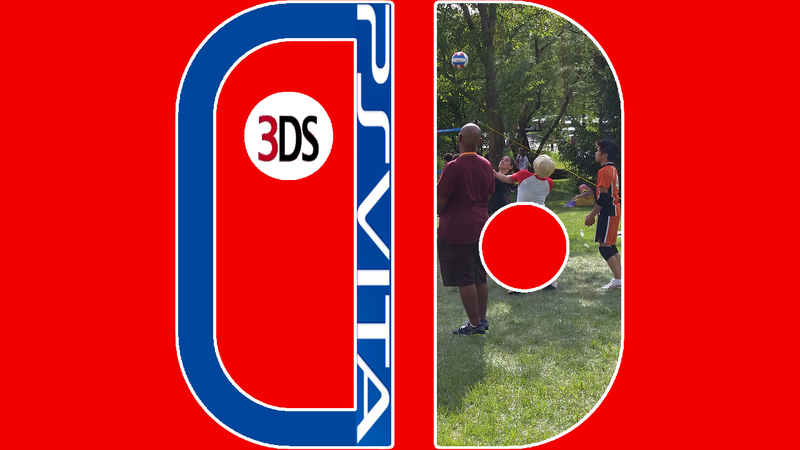 Consider, at conventions—game, anime, or otherwise—the prevalence of the Nintendo 3DS, followed in a distant second place by the Playstation Vita. For the Nintendo Switch appears to be, in numerous ways, the descendant of both systems. Its connection to the 3DS is straightforward, as both are Nintendo products with portable gaming features and all. There are also Vita fans, however, who are not shy to (rightly) point out that Sony’s handhelds were the first to aim for the “console gaming power on-the-go” concept years ago. On first glace, such a lineage may suggest that the prospects of the Switch being a hit at conventions are fairly good. There is, of course, one huge difference between the Switch and its two forebears. The 3DS and Vita are eminently portable systems, easily able to fit into one’s pocket, but the Switch, larger in size—it is more or less a tablet when undocked—will not be nearly as portable. This poses a literally big problem for the Switch as convention hit; hardly anybody games on tablets at all, let alone at conventions! Add to this the fact that StreetPass, which has singlehandedly made the 3DS a perfect game system to bring along for taking advantage of all those crowds of other 3DS users, is being discontinued for the Switch, and suddenly things look less rosy for the Switch as the killer app of conventions. These are substantial setbacks. Regardless, I could be totally wrong with what I’m about to say, but I’m going to make this prediction anyway! The Switch might end up being HUGE at conventions. The Switch will bring new capabilities to the table that neither the 3DS nor Vita have, and they are going to absolutely bury its setbacks and make this glorified gaming tablet a must-bring for attendees. Most of it actually starts with one feature: The kickstand (similar to the Microsoft Surface) that allows the Switch to stand upright when detatched from its dock. Much has been written about how the Switch will blur the distinction between console and portable gaming, mainly from the perspective of console gaming going mobile, but it also holds true for how it may transform the possibilities of mobile gaming. The kickstand represents the most significant way in which this happens. Up to now, a mobile game system has always been a personal, single-player device. The kickstand, however, by allowing it to stand independently as a distinct screen, does away with that distinction. Thus, the Switch might be the first genuine portable multiplayer game system. Being tablet-sized, a convention goer could just plop this thing up on a desk, a table, even on the ground, and as long as there are enough JoyCons or other controllers to go around, gaming can commence on the spot. The beauty of this, by the way, is that everyone could potentially get away with not even bringing their own extra controllers to make that happen. If a bunch of other attendees are also packing their own Switches, after all, then it should be easy for everyone to pool their controllers together if needed. In other words, the Switch is essentially a Mario Kart and Super Smash Bros. rapid deployment device. The more quality local multiplayer games that come to the Switch, the sweeter this deal becomes. There’s even a bountiful well from which these could come, which I didn’t even think of until the latest Nyren’s Corner came out just earlier today: If Nintendo played their cards right, the Switch could be a haven for indie developers. Considering how many of them have, in recent years, seriously picked up the mantle of local multiplayer that the AAA game industry outside of Nintendo and fighting game developers has abandoned—even fighting games, though still containing two-controller multiplayer, clearly prioritize online play these days—there would already be a plethora of those sorts of games available to port to the Switch. I seriously hope this happens, because something like Ultimate Chicken Horse or Gang Beasts on the Switch would be absolutely BANANAS. If some of these hypothetical ports are successful, their example could then lead to more local multiplayer games getting developed for the system. Put more than one Switch into play, and this gets even better; no one needs to be restricted to same-screen local multiplayer. The Switch is going to also allow wireless multiplayer over multiple nearby systems via WiFi for multiplayer, which the 3DS before it also does. Combine that with the ability to mount the Switch upright on virtually any flat surface, and now even the likes of Splatoon 2 could become a convention staple. I personally hope that Pokkén Tournament gets ported to the Switch for precisely this reason, because it seems practically designed to thrive in this paradigm of local multiplayer, and would be the closest it could get to its arcade roots at that. However, what if someone opts to go for some single-player gaming over playing with others? The Switch is intended to accommodate that, too, and will even offer multiple ways to make that happen. One could still keep the Switch propped up with the kickstand and essentially turn it into a mini gaming TV, or they could attach the JoyCons to its side and turn it into an enlarged Game Boy Advance capable of playing the latest full-scale Legend of Zelda and Super Mario games. When I consider possibilities like these, it seems totally plausible to envision a floor or seating area in the near future that is littered with multitudes of Nintendo Switches in action. That might be a weird sight to see in everyday life, but of all the days and places in the world to do something like this, a convention would be one of the rare events where roomfuls of game systems might be considered not only not weird, but also accepted—maybe even encouraged. The biggest obstacle to making this happen would be gaming performance while the Switch is off its dock, but ideally, developers can take that into consideration and optimize their games accordingly. However, the perks of the Switch as a convention gaming system may not even be restricted to being off-dock in tablet mode, at least for traveling convention goers bunking up in hotels. From what I’ve observed, the ability to separate the Switch into tablet and dock may very well also make the Switch one of the easiest console gaming systems to travel with. It will definitely have the edge over the bulkier Playstation 4 or XBox One. It might even be more portable than the Wii U, whose smaller console size versus its competitors is somewhat wasted on a mandatory gamepad nearly half its size. In comparison, the Switch is practically the equivalent of a Wii U gamepad with an (optional) dock which it slots into, meaning that the dock won’t take up much extra space. It ought to take up just a fraction of backpack space when all packed together. Additionally, it’s even possible to buy an extra dock separately, which could be useful for, let’s say, leaving the first dock for home use, while keeping a second dock in reserve specifically for travel purposes. That said, why even bring the dock in the first place? Simple: Hotels with modern HDTVs that include HDMI ports are now commonplace. Thus, as long as the Switch owner packs an extra HDMI cable along with the rest of the usual controllers and power cables, setting up the console in the hotel room for big-screen gaming ought to be a breeze. That would conceivably give attendees a fully-fledged game console to unwind to when their days are done. That’s not a perk exclusive to only conventions, either! Anyone doing any sort of traveling could reap the same benefits. Actually, going even farther, why even relegate ourselves to just hotels? What if someone was staying with distant family or friends? What if they wanted something to game on? Okay, now we’re drifting away from the original premise. But therein lies the larger point about what Switch may be capable of. I believe most of us are seriously underestimating the depth and scope of the niches and use cases—ones that nobody else in the gaming industry has even come close to attempt to address—that the Switch could fulfill. Whether for its prospects in gaming and anime conventions, for travelelers in general, for uses that my imagination might not even be able to conceive of. Once the Switch is out, the ways in which people end up using it will be something that we should watch very closely. Edit 2/24/2017 2:15 pm: Maybe the size differences and their effect on portability are a little overstated?? GameXplain recently put the Switch through the pocket test, with some surprising results; see below. Note that this would only bolster the Switch’s prospects in the convention argument even more.